So, You’re Thinking About Buying a Home? Home ownership (as your primary residence) is a liability and not an asset. Think about this: assume you buy a home and don’t put a dime into it for 30 years. You don’t paint it, repair it, or update it. You just let it sit there. 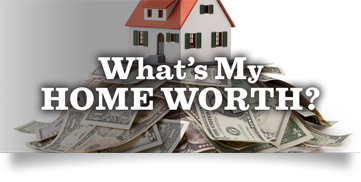 How much do you think that home will be worth at the end of 30 years? On the flip side (assuming real estate values increase enough, during the years you own, to offset the cost of upkeep and maintenance) you might sell in the future and enjoy a nice profit. Most buyers obtain tax benefits by writing off real estate taxes, mortgage interest, and specific closing costs, whereas renters don’t typically get federal tax deductions. Buying a home involves a multitude of considerations. Why do you want to purchase a home? To enjoy that distinctly special feeling of owning of a piece of real property? To gain equity and build wealth or to secure a tax shelter? To have more independence? Or, simply to put down roots, raise your family and build memories? There are many reasons why people buy homes – and maybe you’re now considering you own. Wonderful! Let us help you with your decision. It’s often said that “buying a home is one of the largest single purchases you will ever make in your life.” It’s certainly true, and hiring a professional and experienced real estate agent from the start will be the most important first step you will take in the process. 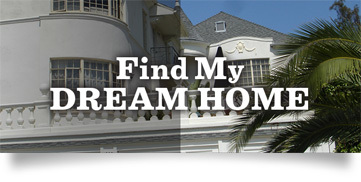 Choosing the best REALTOR for you before choosing your next home is the secret to a smooth and enjoyable transaction. The process of home buying involves many steps, and without an ethical and experienced agent, there are copious things that can go wrong. By working along side the right agent, you will be on your way to finding that perfect home and delighting in a smooth transaction and closing. You’ve now chosen your REALTOR, what’s next? We’ll sit down with you and assess your situation and goals, the Los Angeles real estate market, and help put you on the path toward success. Are you in need of legal, tax or financial advice to make sure you’re actually prepared to buy a home now? If so, we know reputable professionals in these fields to put you in touch with. At this stage, our role is to provide the data, resources and real estate advice you want and need to help you finalize your decision to purchase. As in life, real estate success is about timing and we will give you the guidance and advice needed to help you achieve your home purchase goals. Again, there are many factors in this decision, but the most important step in the deciding-to-buy portion of the process is making sure you can afford the home and are able to close escrow. The principal question to ask and answer at this stage is: How will you finance your home purchase? See the PREPARING TO BUY section to examine this topic in more detail.